Before I started to blog, if you had asked me to name jobs that pets do, I could have named several … and all of them would have been related to dogs. Should I have even thought of cats, I might have pointed out their ability to catch rodent. Yet cats are much more clever and versatile that most of us give them credit. 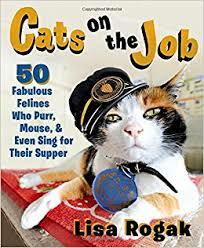 You just need to read Lisa Rogak’s Cats on the Job to discover not just one or ten but fifty ways that cats purr, mouse, and even sing for their supper. In her colorful and photo-rich book, Rogak shares well-written true tales of cats around the world who are happily earning their keep. Through blogging, I had heard of a few famous cats. Granted most of them were known for their quirky looks or unique talents such as the ability to play a piano. But there were also cats who starred in movies and even those who had run for mayor. The more I kept my ears open, the more stories I heard. And so, I knew about cats in bookstores, hospitals, libraries, and train stations. I’d also glimpsed stories of the current trend of cat cafes. I highly enjoyed reading Rogak’s examples of cats performing these jobs, as well as multiple accounts of cats that catch rodents. Rogak also wrote about a host of jobs that cats perform which are new to me. One is that of Acro-Cats, a group that is devoted to “promoting the mental and physical health benefits of cat training through clicker training…a positive reinforcement based training method”. Learning about them inspired me to renew my own efforts at clicker-training my cats, and seeing the circus act in-person is on my bucket list. Another story that piqued my curiosity is that of rescued cats in Australia that create paintings. I’m sure at least one of my cats would be up to the challenge! I also found intriguing the idea of catflexing, a fitness routine that involves exercising with a cat. One of my cats has already shown interest in this! Another notable tale is of Carlow, a cat who works at a firehouse. Anyone remember Esther Averill’s story The Fire Cat from their childhood? Sometimes there’s truth in fiction! Aside from the quality writing and design of Cats on the Job, what stands out most to me is the broad scope of jobs that cats can perform. To name a few in America: In Washington, a cat named Sable shows up like clockwork twice a day to serve as a school crossing guard; In Michigan, two lucky cats serve as furniture testers; and in New York, cats have a long history of acting as hotel concierge. Rogak didn’t just limit her tales to American cats either: In England, a toy company hired a cat to guard its warehouse of toys; In Great Britain, a cat named Jessi helps an autistic boy to express himself. In Japan, a cat named Iemon serves on the police force and helps fight crime. For some of these positions, it may seem obvious how the cat does its job. For example, cats who test furniture are cats who are encouraged to scratch, bite, and jump on furniture to test its durability. For other positions, such as that of how a cat that serves on the police force, you’ll have to check out Rogak’s book to learn how exactly cats can fight crime. Now that I’ve read Rogak’s book, if anyone were to ask me to name jobs that pets do, most of them would be related to cats. Cats on the Job is an informative and fun read about an idea which is gaining popularity. Working cats are both a way to help the homeless cat population and to develop comradery with cats. Through email, I asked Rogak how she found out about the cats she profiled. Her answer? “I found the cats online, in older books–many of them were sadly long deceased–and by posting queries online. There were several that didn’t make it in because there wasn’t enough information or the photos weren’t great. Photo taken by James H. Maglina. Used with permission. 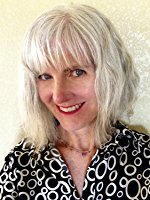 Cynthia Stuart was a professor of psychology, medical law and ethics, and has written many articles on the interaction of rats as therapy animals. She writes, “Human – animal bonds can be utilized in a therapeutic context in work that is geared towards developing positive relationships with fellow humans.” Her love of rats began in 2003 as an environmental educator for a mini-zoo that featured a family of rats abandoned on its doorstep. She’s the co-author of The Improbable Adventures of My Mischief. I appreciate her taking time to talk with me! ALLISON: Did you come from a big or small family? A household of pets or none? CYNTHIA: My family was small. Just mom, dad and me–and a variety of pets, of course. During the course of my childhood and adolescence, I shared my life with a cat, hamster, goldfish, and turtles. I’m sure I’m forgetting other pets! When I grew up, I indulged my special passion for rodents and have lived with rats, guinea pigs, gerbils, a degu, a variety of fish, and lizards. I’ll be surrounded by rodents for as long as I’m able to provide for their optimal care. ALLISON: If you were to write a book about your childhood, how would you summarize it? 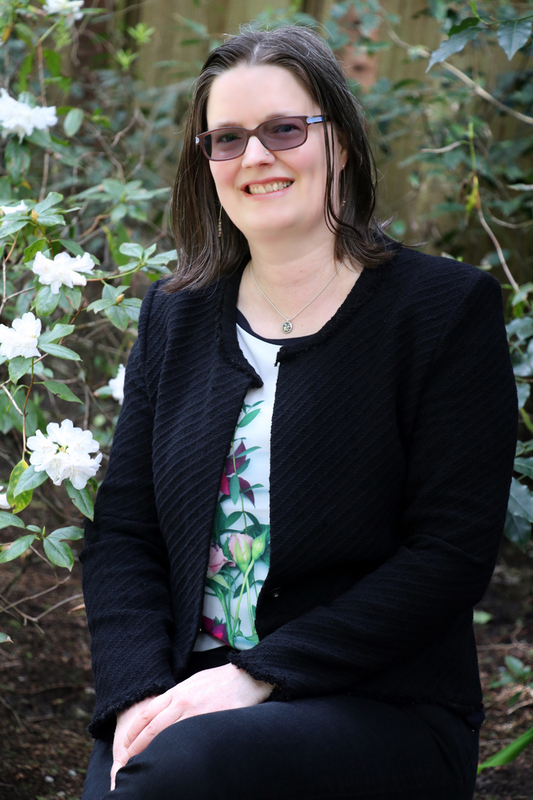 CYNTHIA: I was very much loved and protected by my parents, but because of a combination of shyness and being overweight at the time, I was bullied, which had an enormous negative impact on my life. My respite from that was a pack of close friends, my animals, and my escape via continuous reading. ALLISON: Most people seem to have experienced a wonderful or terrible adolescence? How would you categorize yours? Why? CYNTHIA:I’d say my adolescence was less than ideal, given the aforementioned shyness, weight issue and bullying. I wouldn’t want to go back–I feel I’m at the best point in my life than I’ve ever been right now. I’m retired from full-time work and the bit of work I do to keep stimulated is from home as an online English teacher. The bulk of my days are spent doing pretty much as I please…. writing, reading, and spending quality time with my current mischief of rodents and my significant other. ALLISON: What period of your life most changed you? CYNTHIA: Starting college at the ripe old age of 30. My experiences led to the practically overnight shedding of my shyness and developing the ability to stand up and assert myself when necessary. I also developed a hunger for knowledge and became somewhat addicted to higher education, to the point that I wound up with a PhD in my late 50’s. ALLISON: Who most influenced you growing up? CYNTHIA: Definitely my parents. They set the tone for how to live a virtuous life and encouraged me to keep up my addiction to reading – which has led to my writing later in life. Both my parents were ardent animal lovers as well, who were all for my adoption of non-human family members. ALLISON: What is involved with being an environmental educator? CYNTHIA:The job primarily entailed giving talks to visiting school and camp groups about wildlife and caring for the environment. I also taught the Environmental Center’s pre-school classes, as well as hosted environmentally themed birthday parties. All of these activities involved integrating the animals that we had living on the premises in a mini-zoo into our talks. Nature walks were also included in the roster of activities and, if we were lucky, we’d spot wild birds and animals who were seemingly unafraid to make an appearance in the midst of usually loud, boisterous groups of children. ALLISON: Tell me more about the family of rats that were abandoned at the mini-zoo where you worked. CYNTHIA:Unfortunately, the environmental center at which I worked had been often used as a dumping ground for people with exotic pets who didn’t want them anymore. Staff would arrive in the morning to find a box or glass aquarium with some poor rejected pet(s). Presumably the former owners figured we’d give them a home in the mini-zoo. One of these “drop offs” was a family of rats – mom, dad, and a litter. The center never had rats before, so they were given a place in the zoo. However, they were still kept in tanks and not separated. Being a rodent lover, I fell in love with them and took them out of their tank whenever I could to work with them with visiting groups, as well as try to socialize them individually. I tried to advocate for vastly improved conditions for them, but my pleas fell on deaf ears. Not surprisingly, mom and dad started to reproduce again. Then, the population started to disappear. At first, I thought maybe they were being adopted out to visitors (which sometimes happened). Not so lucky… I found out they were being fed to the resident snakes. By the time I found out, there was just one little rat left, and I adopted her and named her Nibbles. She was wonderful and I loved her so much. It was Nibbles that started me on the path to Rat Chickdom back in 2003, and I haven’t looked back since. By the way, shortly after adoption, I quit the environmental center because of the snake incidents, and the way the rest of the animals were being maintained with little regard to their welfare. ALLISON: Why do rats make great pets? CYNTHIA: Rats have a bottomless capacity to demonstrate total love and affection to their human parents. Unconditional love is their calling card. It is very rare for rats to bite their people. If they do, there is a valid reason (past abuse, for example). It is typical for rats to react very excitedly when their people come into their room–begging to come out and play or, in the case of senior rats like my boys, to spend quality cuddle time with their humans. Their desire for socializing is definitely not limited to their own kind. They take you into their hearts forever and they make it quite obvious how special you are to them. ALLISON: Describe a special bonding moment between you and a rat. 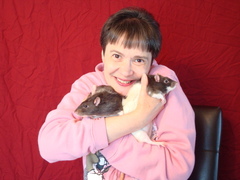 CYNTHIA: I’d have to say this occurred with my present rats, Simon and Niblet (brothers who are a year and a half old). They were part of a huge ooooooops litter and they were the last two left after their siblings were adopted. I’ve never encountered such fearless, bold babies in my entire rat-life. In order to bring them home, they rode with me on two commuter trains that were an hour’s ride each, had a long transit time in New York City’s frantic Grand Central Terminal, followed by a long subway ride, and then a cab. When I finally got them home and opened the carrier door into their new cage –they didn’t want to go in. What they wanted to do was climb on and play with me! So, that first night, the three of us sat in the living room play wrestling, cuddling, exploring, and watching the Academy Awards together. I couldn’t believe that after a horrendous commute and being with a total stranger, they would do this. They actually took the initiative to bond with me–I was prepared to leave them alone for a couple of days to settle in and become more comfortable. They remain clingy Mama’s boys to this day. ALLISON: How can rats be therapy animals? CYNTHIA: I’ve written articles about this topic for the American Psychological Association’s Human-Animal Interaction group as well as “It’s a Rat’s World” magazine. To me, it’s extremely obvious how they can provide emotional support–especially to those persons challenged with depression and anxiety. To have animals who so forcefully display their adoration of an individual–regardless of how upset that person is–is not only comforting but healing. Because rats are so forceful in their demands for love and attention, they help to integrate people with mood disorders into life outside of themselves. It’s very hard to ignore a rat or rats standing on their hind legs, nose and arms reaching through the cage bars, clamoring for love and a bit of play and cuddles! Like with all pets, they have needs that must be met on a regular schedule, thus providing a reason and obligation to get up out of bed and start one’s day in the morning. Of course, there is the scientific evidence of the benefits of simply petting animals, and rats tend to be addicted to petting. While I go into greater detail in my articles, suffice it to summarize that since rats are so positively pushy about showing love, pet parents who may need some type of emotional support, unconditional acceptance, and love get that in abundance from their rats. I’ve definitely relied on their support during my own challenging moments! Stinkwaves Magazine is the brainchild of Tevin and Nicole Hanson. Tevin is the author of numerous books and short stories. He enjoys skateboarding, reading half a dozen books simultaneously, and chasing his two small children around the house while singing horrendous versions of children’s songs. Nichole is a full-time mom of two children and an avid reader of young adult books. Thanks to Nicole for taking time for this interview, and for sending me a free sample copy of Stinkwaves Magazine. ALLISON: Why did you start Handersen Publishing? NICOLE: Handersen Publishing actually started as silly handmade books for friends and family featuring Tevin’s quirky story ideas and art. Then, after reading a few literary magazines, we thought, “Why not start a literary magazine for middle grade and young adult readers?” and Stinkwaves was born. All this time Tevin was trying to go the traditional route for publishing his middle grade books. We finally decided to give self-publishing a try. We started with Hole in the Wall, Mr. Boggarty, and An Evening of Temptation and The Ultimate Sacrifice. When it was time to take on new authors, we immediately started with past Stinkwaves Contributors and became a full-fledged publishing house! We want Handersen Publishing to be a place where reluctant readers can find a book to connect with, and established readers can find something new to challenge themselves. Each project that we take on has some type of twist to the traditional books in that genre. Some of our books have been labeled bizarro fiction, and we kind of like that title. ALLISON: How has this venture changed your life? NICOLE: We are now running Handersen Publishing full time, which is both amazing and exhausting. It’s amazing to be able to work from home and be doing what you love, but it takes a lot of time and energy. Seriously, though, how can you complain when you make books for a living, and get to work with great kids making slime and thumb theatres? ALLISON: Why both books and a magazine? NICOLE: It just kind of worked out that way for us, and I’m glad it did. We have met some amazing talent through Stinkwaves. And each of our authors was originally published there. ALLISON: What skills—business or otherwise–does each bring to Handersen Publishing? NICOLE: Books are where we have found the most success. Unfortunately, Stinkwaves has had a hard time finding readers, it’s a great little magazine, and we’ve been lucky to get some great submissions, but we’re finding that a lot of readers aren’t super familiar with what a literary magazine is, especially when it is for a middle grade and young adult audience. Anytime we get it into kids’ hands, though, they really like it and seem to connect with the stories and poetry. ALLISON: How involved is your family with Henderson Publishing? *Who is in your family? NICOLE: We are definitely a family business. Our two kids Elinore (6) and Gordon (4) are the inspiration for most everything we do. They encourage us to stay young and think young. They are also great helpers when it comes to creating art or setting up for an event. Our daughter Elinore is also great to have in an audience. She has a fabulous laugh that inspires other kids to get involved with the show and have fun! ALLISON: What other activities do you and your family enjoy besides Handersen Publishing? NICOLE: Right now, it seems like our lives revolve around books, but it’s what we all love. Whether it’s finding the perfect book (or twenty) together at the library, snuggle time reading, or watching a movie that was based on a book, book time is the best time! We also have a lot of fun with art, jumping on the trampoline, or spending time together at the park. ALLISON: Share one success story. NICOLE: We recently booked our first paid gig for a reading event. We’ve done a lot of donated time events, but it was very exciting that an organization found value in what we do, and invited us to come and work with their kids. It was also a TON of fun! ALLISON: Share a major challenge and how you overcame it. NICOLE: The publishing industry, itself, is a major challenge. Navigating libraries, bookstores, online marketing, websites, social media . . . the list goes on and on. We overcome this one step at a time. We currently have four authors from the UK and Ireland, and it’s a challenge learning another regions rules and processes, but we are working on it, one step at a time. ALLISON: What are your future dreams—for Handersen Publishing or personal? NICOLE: We want Handersen to be successful so that we can share literacy and the importance of books and reading. There are a lot of communities that struggle to have the necessary resources to encourage kids to read. If we can succeed we will have more resources to share, whether it’s actual books or events that connect kids with books and authors. ALLISON: Where can those who live in the area find you? NICOLE: Our books are for sale online both through our website (free shipping) and on Amazon (they even qualify for FREE PRIME shipping). We are also season vendors at the Haymarket and the Fallbrook Farmers Markets in Lincoln, Nebraska, and you can find us at craft fairs and other events throughout the year. Also, Indigo Bridge (Lincoln, NE), Francie and Finch (Lincoln, NE), Chapters Books and Gifts (Seward, NE), and The Bookworm (Omaha, NE) all carry Handersen Publishing titles. “Happy pets, happy people.” That’s the aim with which Zazie Todd started Companion Animal Psychology. The site shares evidence-based information about how to care for our pets. 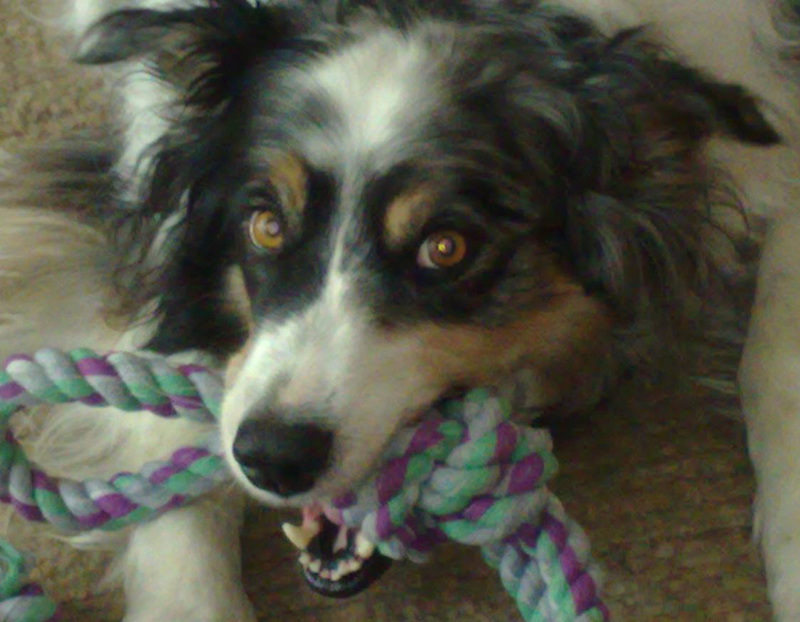 While exploring a variety of topics in animal welfare , there are particular themes to which Zazie often returns: the importance of enrichment for our pets; the use of reward-based training for dogs (and cats); the need to make visits to the vet less stressful; and the psychology of the human-animal bond. Todd has a PhD in Psychology (University of Nottingham) and an MFA Creative Writing (UBC). She also Zazie graduated with honors from Jean Donaldson’s Academy for Dog Trainers, holds a supporting membership with the International Association of Animal Behaviour Consultants, and volunteers at the British Columbia SPCA. Todd grew up in Leeds, in the north of England, and now lives in Canada, with her common law husband, one dog, and two cats. In conjunction with Companion Animal Psychology, Todd started an animal book club on Facebook, of which I am a member. Below is an interview with Todd. Get in touch with her by email at companimalpsych at gmail dot com, or on Facebook, Twitter, Pinterest, or Companion Animal Psychology Book Club. ALLISON: Tell me about your first pet. ZAZIE: I wasn’t allowed a pet when I was growing up. I really wanted a cat. When I was in high school, a neighbour’s cat used to come in our garden a lot and I liked hanging out with her. But I didn’t get a cat until I was a grad student in Edinburgh. I went to a cat rescue and adopted a young ginger-and-white cat called Snap. I found out later that the lady who ran the rescue had no intention of adopting to us that day because she didn’t adopt to students, but she thought if she let us visit she could educate us about cats. But she had a cat with a wobble–with hindsight I’m guessing it was cerebellar hypoplasia–who apparently didn’t like anyone, but for whatever reason this cat did like me and my boyfriend. So I was allowed to adopt the cat that was climbing on my shoulders and hanging upside down from my arm. He was a lovely cat, very playful and very friendly. ALLISON: Your background is in psychology and writing. When did you decide to start working with animals? Why? 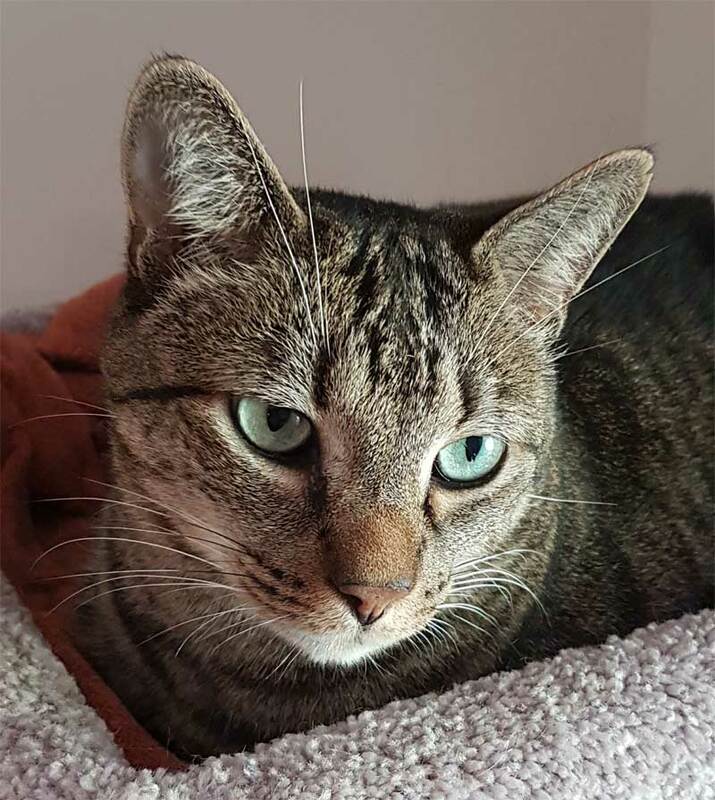 ZAZIE: I’ve always been interested in animals but although I used to sometimes supervise student projects on pets, it wasn’t the main focus of my research. But when I left academia I was very lucky to be able to do an MFA Creative Writing at UBC, and finally the time was right to get a dog. Actually, we got two dogs, and this was the first time I really paid any attention to dog training advice. What I noticed was that it was very hard to find good advice on how to train a dog. I mean, it was out there, but there was also–and still is–a lot of advice that is just not true and even downright dangerous. And at the same time, there’s really been an explosion of interest in researching the human-animal bond and canine cognition, so there’s a lot of fascinating material to write about. I think it can make a huge difference, not only to the animals and their welfare, but also to the people who care for them. Happy pets, happy people, as it were! When I decided I wanted to learn more about the training side of things, I was very lucky to get a scholarship to the Academy for Dog Trainers. I graduated with honors in February 2016. One of the things I really like about the Academy is that it teaches you to be very efficient in your training, which makes all the difference when you are working with shelter animals. Right now I’m half-way through International Cat Care’s Certificate of Feline Behavior and really enjoying it. Everything is evidence-based and designed to be helpful to you in practice. Because dog training and so on is not regulated, I think it’s important to have the qualifications to show you know what you’re talking about. The nice thing is that a lot of people are very interested to learn more about animals. I’m especially thrilled that Greystone will publish my book Wag: The Science of Making Your Dog Happy because it will help get that information to a new audience. So for me it’s been a gradual transition–the psychology and writing are still there–but animals got added in more and more! ALLISON: How have you grown as a pet owner due to your research into and training with animals? ZAZIE: What a great question! I’m sure if I went back in time I would do some things differently. I certainly know a lot more about how to care for animals. One thing is that I didn’t used to know about food puzzles for dogs and cats, and that’s a great thing to provide. I know a lot more about socialization of young animals and how important it is to give them lots of positive experiences. And I think vet care is another change…. I used to take treats to the vet with me anyway, and I had taught previous cats to like the carrier but it wasn’t a very organized plan. It’s one thing knowing the theory and another thing knowing how best to put it into practice! But husbandry training is something that was included in the Academy for Dog Trainers curriculum, and I’ve since become Fear Free certified too. I think being able to help an animal feel more comfortable at the vet makes such a big difference. I feel sad for the times I used to take animals to the vet and just expect them to put up with it! ALLISON: I first discovered you through the Companion Animal Psychology blog. How have you gained attention for it? ZAZIE: When I look back at the last five years I am surprised how much the blog has grown. So I think one thing is simply being persistent and keeping going. I decided quite early on to try and stick to a schedule and post every week on a Wednesday morning. I don’t always manage it–sometimes life gets in the way, of course–but most of the time I have. It means regular readers always know when they can look and find something new on my blog. I try really hard to be accurate in what I write. Sometimes it’s a challenge, especially when writing about research, because I have to pick which bits of the story to include otherwise it would become too long or the main points would get lost. Sometimes I’m able to write about research that doesn’t get a lot of attention in the media, so I’m able to bring something new and I think that helps bring people to my blog. The other thing I think bloggers need to remember is that even when writing about a topic other people have covered, everyone brings something unique to it and so it’s still worth writing about. But it’s not just about imparting information, it’s also about showing people why it matters. Of course, social media is a big part of it. On twitter and Facebook, I like to share a lot of content from other people too. Like I said before, there’s a lot of bad information about cats and dogs, so when I see something good I think it’s important to share. And whenever someone shares my posts–or buys one of my t-shirts that raise funds for my local shelter–it makes me happy to think there are so many people out there who care about animal welfare. ALLISON: What is your favorite part about living in Canada? ZAZIE: It’s hard to pick one thing as a favorite because there’s so much to love. But I would say nature, because Canada has so many beautiful places, including many I have yet to visit. I have lots of exploring to look forward to! There are so many forests and lakes and beaches that are just stunning. The wildlife is amazing–we have bobcat, cougar and black bears. And I love watching the hummingbirds! People here are very friendly too. I also like that Canada celebrates its diversity and this is a place where people from all over the world can feel at home. ALLISON: There are particular animal welfare themes that are important to you. When did you develop those passions? Why? ZAZIE: When I went to get my first cat, I went to a rescue, so even back then I wanted to help homeless animals. I should add that not all of my pets have come from shelters though. But because my background is in Psychology, and so much of that is relevant to the human-animal relationship, that’s somewhere where I thought I could make a difference. I’ve become really interested in the dog training side of things and I think it’s such a shame when people are given incorrect information. For example a lot of people still believe that you shouldn’t let your dog on the settee or on your bed, and they’ve heard this from TV or the internet. Of course I understand that some people don’t want to, but there are people who would like to cuddle on the couch with their dog but don’t because they have been told it would make the dog ‘dominant’. Or they do let their dog on the settee but then they feel guilty because they think they aren’t supposed to and it might be bad for the dog. That’s something that can stop you from getting the most out of your relationship with your dog, when really it’s up to you if you would like to or not. One of the reasons I am so interested in enrichment is because of the different circumstances for cats here. When I lived in England, my cats could go outside during the daytime and they would spend a lot of time in the garden or nearby. Here that’s not possible because there are a lot of coyotes, so it just wouldn’t be safe. I think it can be a bit boring for a cat being indoors all the time. 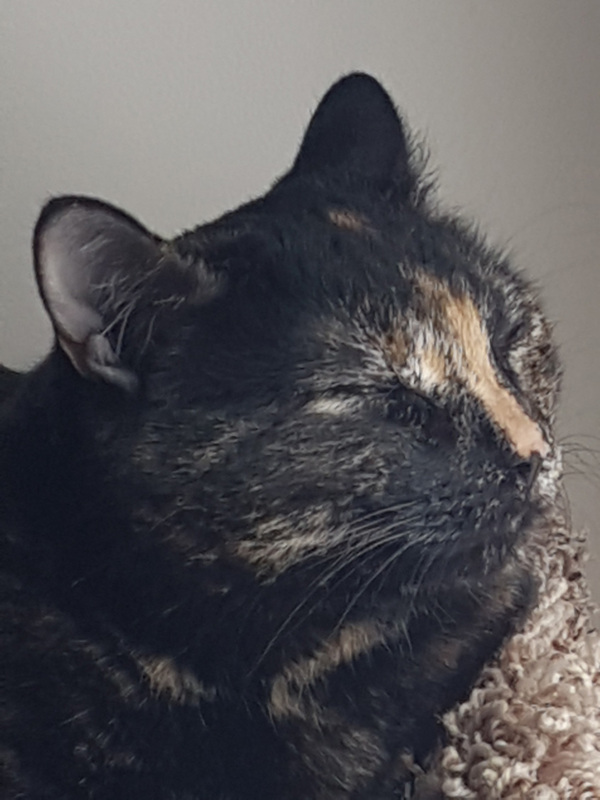 A lot of people have indoor cats here and so it’s even more important to make sure cats have what they need (in terms of scratching posts and cat trees etc.) and have food toys and playtime. ALLISON: You volunteer at a shelter. What have you learned about increasing adoptions? ZAZIE: As a volunteer I work directly with the animals, so I’m not personally involved in the adoption side of things. But one of the things I think is important is to have descriptions which are accurate, which means highlighting the positive things about the animal as well as any issues that potential adopters may have to deal with. It’s easy to say a dog jumps up and will need to learn some manners and then forget to mention that this is a very friendly dog–and that’s an important thing to know! Also the photos matter, because so many people are looking online to see which animals are available. I interviewed Dr. Christy Hoffman recently and asked her about her research on increasing adoptions, and she mentioned that for cats it can help to have a toy in the photo. But if you put a toy in every cat’s photo, then it’s no longer helping to differentiate that particular cat from the others. So you should include the toy in photos of the cats that you think need a bit of extra help getting adopted. ALLISON: We have a shared passion of increasing awareness of the importance of enrich the lives of cats. Tell me of a time you have helped a cat owner. ZAZIE: We do! And I always enjoy your blog posts. Recently, I have been spending time with some fearful cats. They are actually very friendly cats when they know you, but they are afraid of new people. So at first I completely ignored them except to put small treats in places where I thought they might feel safe coming to get them. Then they started to approach me, but I knew that if I reached out to them they would duck away from my hand or even run away because they were still nervous. I didn’t want them to have that experience so I just let them come to me on their own terms. Then I started putting my hand out and they could decide whether to come and rub on my hand or not. Now they are used to me and we are good friends and they like to be petted. But that’s only because I made sure they felt safe at each stage. ALLISON: As part of Companion Animal Psychology blog, you also started a book club. What inspired you to create it? ZAZIE: I have been in book clubs before that mostly read fiction and I really enjoyed it. Actually I also did some research on book clubs once. That was back in England and I ran several book clubs for a study I was doing. Anyway, I had been thinking for a while that it would be nice to have an animal book club, but the thing that made me actually set it up was reading The Trainable Cat by John Bradshaw and Sarah Ellis. I really liked it and wanted to be able to discuss it with other people. So I made that the first choice for the book club! But now the members get to choose the books, which is only fair. It’s a chance to read some really interesting books about animals and discuss them with like-minded people. I was a bit amazed at how many people wanted to join! ALLISON: When not trying to change the lives of animals, how do you spend your time? ZAZIE: I like going for walks, with or without my dog. I like to read fiction as well as non-fiction and right now A Tale for the Time Being by Ruth Ozeki is at the top of my book pile. And I like spending time in my garden. I am always behind on the weeding so my garden is a bit overgrown but I enjoy being outside and all the birds and butterflies that we get. I don’t travel so much as I used to but, bearing in mind that this part of the world is somewhere I always used to like to come on vacation, I don’t think that matters! Natasha Wing grew up in Connecticut, not far from New York City. After graduating from Arizona State University, she worked in advertising for a number of years. In 1991, she decided to write children’s books, and sold her first book within six months. Now she’s the author of many picture books, including the best-selling Night Before Series. Below is an interview with Natasha Wing, courtesy of Houghton Mifflin Harcourt Books for Young Readers. 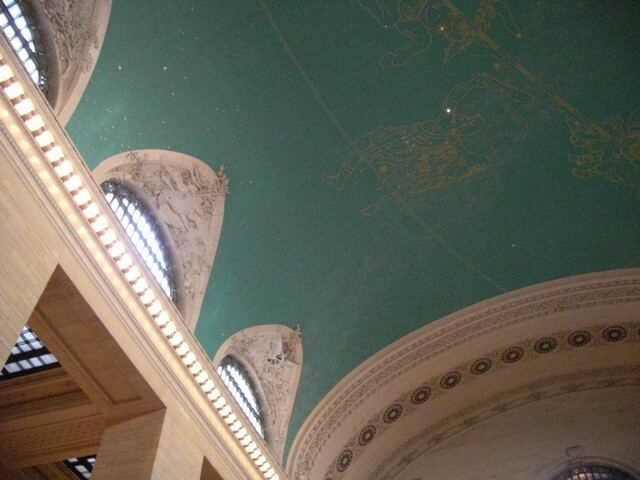 Please return tomorrow for my review of her latest picture book, When Jackie Saved Grand Central, which I received as an Advanced Reader Copy. Q. If you weren’t an author or illustrator what would you do for a living? I’d flip houses. I love resurrecting neglected things and making them beautiful. Hey! That’s like polishing up old manuscripts! Q. What is the first book you remember loving as a child? The freedom to explore any topic. Q. What’s the best snack to eat while reading a good book? Cheese and crackers with a glass of wine. I eat potato chips when I’m editing since the crunch seems to address my frustration. They are portals into other worlds. 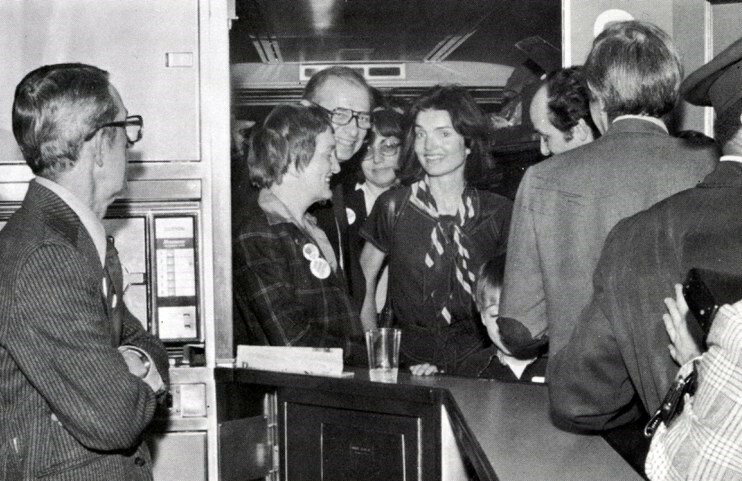 This photo of Jackie on the train helped the illustrator see what Jackie was wearing during her Landmark Express train ride to Washington, D.C.
What Natasha thinks is the most beautiful part of the terminal and one of the reasons why she’s glad this building was saved–the ceiling! 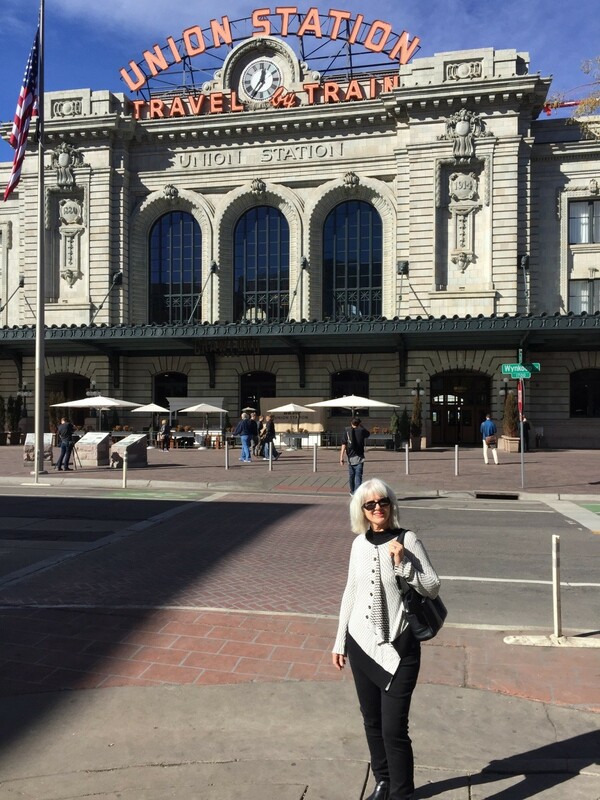 And here Natasha is at the renovated train station in Denver near where she lives in Colorado.